Clint Eastwood’s American Sniper starring Bradley Cooper as U.S. Navy SEAL Chris Kyle, known as the most lethal sniper in American military history, the film explores his life over four tours of duty in Iraq as he builds up a formidable reputation for himself among his comrades and also in the enemy ranks. American Sniper is set to be released on Christmas Day. In the second and final episode, we start out at the Temple Street night market rummaging through knock-off clothing and harassing unsuspecting fortune tellers. From there, The Hundreds crew continue their culinary tour of Hong Kong with stops at Yardbird, Sunday’s Grocery, Ronin and the central fish market. 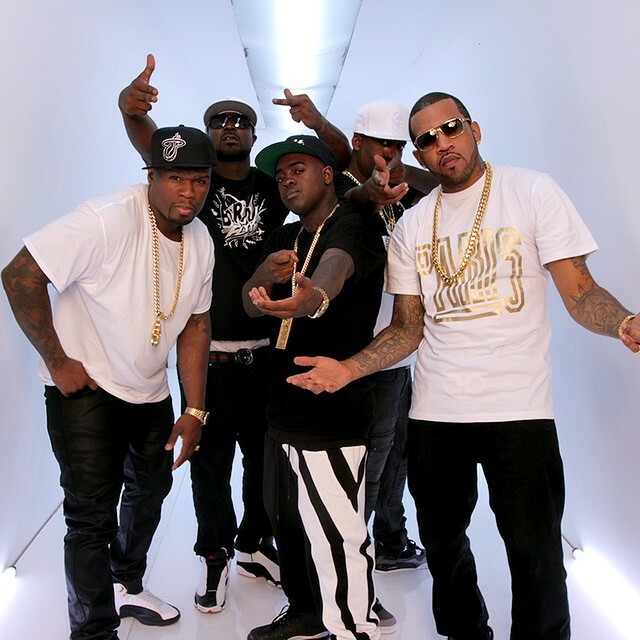 G-Unit makes it return with the drop of their new video called Changes directed by 50 Cent himself. This is taken from The Beauty Of Independence, which is out now on Itunes. Actor and 1 half of the rap Outkast André Benjamin talks about playing the great Jimi Hendrix in the film, Jimi: All Is By My Side. Any NFL player who owns Beats headphones is going to have to leave them at home on game day from now on. The NFL confirmed to recode.net that the popular ‘Beats by Dre’ headphones have been banned due to the league’s partnership with Bose. Bose signed a long-term deal with the NFL in March that allows the company to put its logo on headsets worn by coaches. The deal also allows Bose to ask the NFL to keep players and coaches from wearing anyone else’s headphones. Basically, players won’t be allowed to wear Beats headphones before games or at any other time where cameras might be around at an NFL event. The game day ban runs until 90 minutes after a game has finished. The Beats ban also includes any training camp or offseason workout session where a player might be interviewed on-camera. 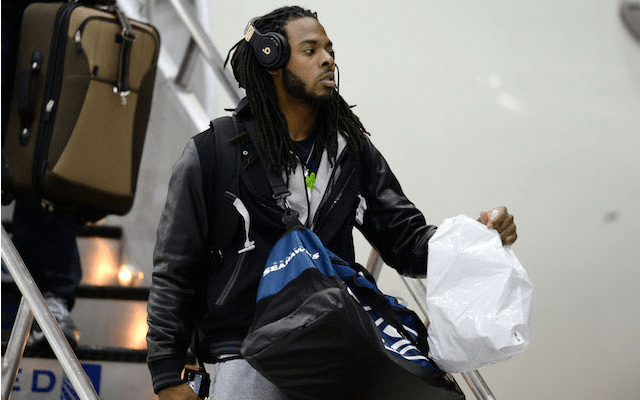 The photo at the top of the page shows Richard Sherman wearing Beats as he gets off the plane in New Jersey before Super Bowl XLVIII. That’s something Sherman wouldn’t be able to do if he were in a similar position at the end of this season. Sherman and Colin Kaepernick are two NFL players who endorse Beats. It’s not clear how much Bose is paying to be the NFL’s exclusive headset provider, but Motorola was paying $40 million-a-year during its 13-year stint as the NFL’s exclusive provider. Beats issued a statement saying that its headphones have become part of the pre-game preparations for professional athletes like Kaepernick.